Melody and Duncan are best friends who spend every summer vacationing at their families' lake houses in the Northwoods of Minnesota. Their plan for this summer is to have as much fun in the sun as they can before they head off for their first year of college at the U in the fall. Everything changes when Duncan's father announces he's been promoted and the family will be moving to Florida. Secretly, both Mel and Duncan are harboring feelings for each other, but both are holding back. With only one week before the life-long friends are separated by two thousand miles, can the budding romance find a way to blossom? 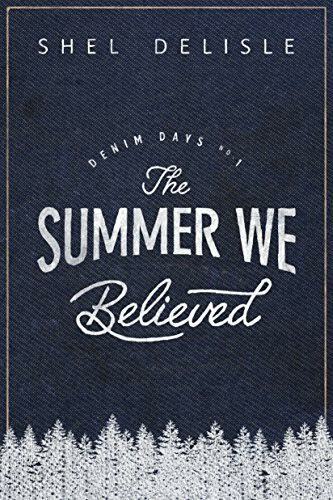 The Summer We Believed is the first installment of Denim Days, a friends-to-lovers series by Shel Delisle.